At Color Glo, our reputation is built on our legacy of service – service to our franchisees, service to our customers, and service to our community. As one of the world's largest leather, vinyl, cloth, velour and plastic repair companies, our giving includes the time, talent and expertise of Color Glo leaders and franchisees. Color Glo franchisees and employees donate thousands of volunteer hours to countless community projects across the world throughout the year - changing lives, one person at a time. CGI Cares South Africa was launched in 2002. We contribute a % of our revenue to various NPO’s including feeding programs, wheel chairs, vehicles and cash donations. We are very passionate about giving back to those in need with a particular affection to children. Color Glo Cares proudly support numerous instrumental charity organizations that work to make change in people's lives. Sue has served for 14 years as an elected official for the City of Cedar Falls. "In a moving tribute, thousands of flags were placed at Fort Snelling National Cemetery in Minneapolis, Minnesota for Memorial Day. For the first time in 35 years, a flag waved at every single grave. Each one was placed with care as a small symbol of respect and appreciation for the veterans who served the United States of America. On the Friday after Memorial Day volunteers removed and stored all the flags. Our franchisee, Joe Foerster, was one of the volunteers who helped remove the 200,000 flags. ."
Greg Martsolf (Clark County CGI Franchisee Owner) and his son volunteered with SOLVE (Stop Oregon Litter And Vandalism). 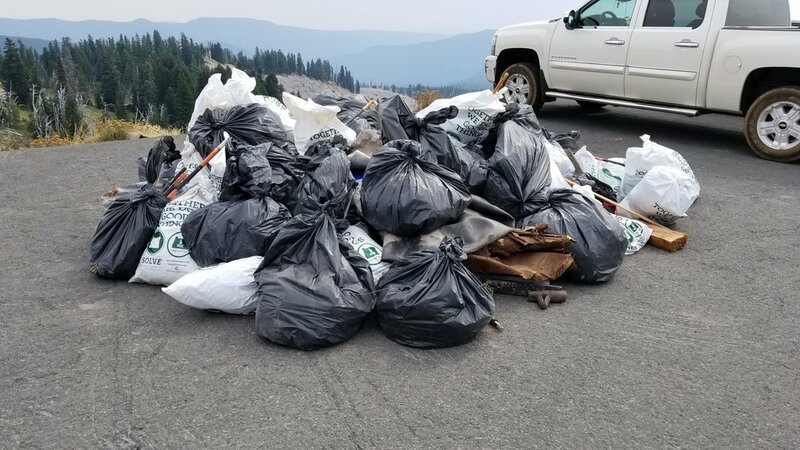 It was litter clean up day for the Salmon River headwaters on Mt Hood in Washington state. 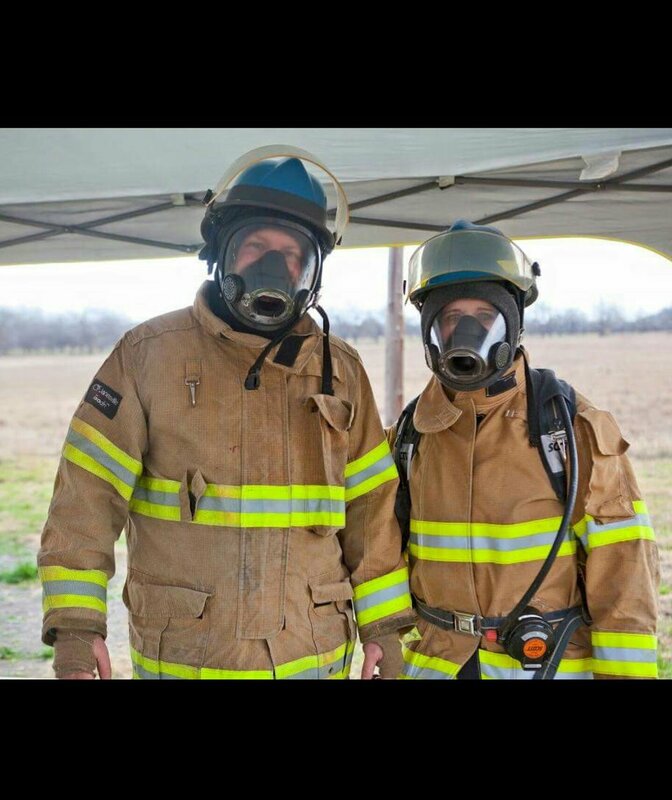 "When I am not performing my "magic" on a customer's leather/vinyl, I (along with my wife) am a volunteer firefighter at Bergheim Volunteer Fire Dept. It is a good feeling knowing that I am doing my part to help protect my community and neighbors. 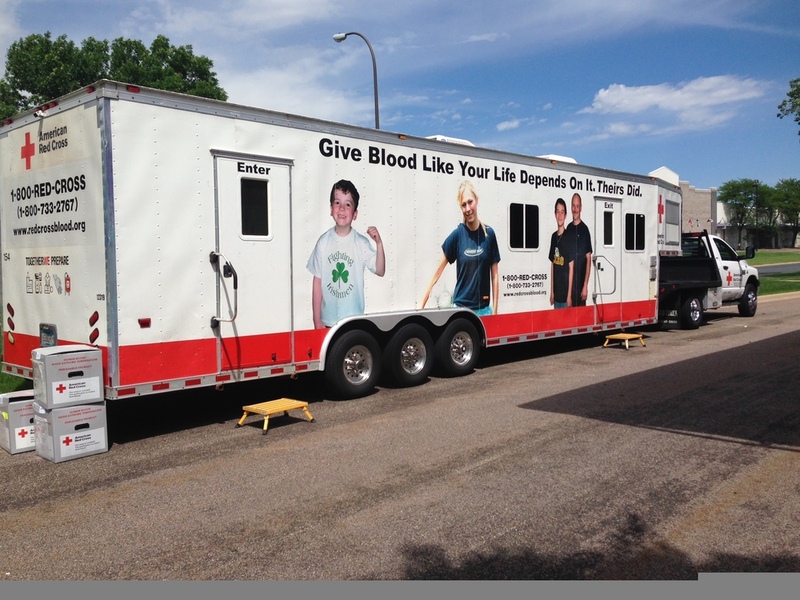 It is also a great way to learn life-saving skills that can be used in any situation." Founder and Chairperson for a festival responding to lead tainted water in Flint, Michigan. 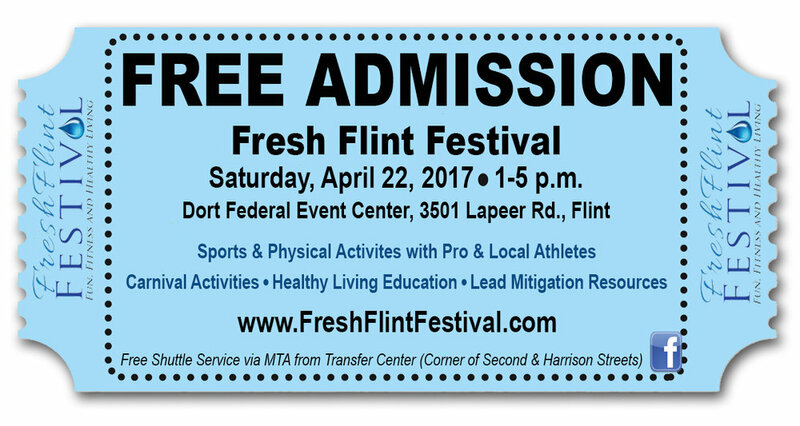 Using professional and collegiate athletes to attract families to the Fresh Flint Festival attendees participated in basketball, football and other physical activities lead by the athletes. Local businesses and non-profits offering services in the wake of the water crisis were on hand to offer information to residents. My church, First Presbyterian Church of Flint, of which I currently serve as a Trustee, joined forces with Flint Athletes for Better Education to host the event in 2016 and 2017. Color Glo jailbirds, Amy and Mandi, stayed locked up behind bars and raised over $1,000 for the Muscular Dystropohy Association. Sponsored an evening gala event to fundraise money for The Sunflower Fund - an organization which supports children with education, housing and food, to name a few. Served breakfast to homeless women and their children at People Serving People Organization. Also supported the Leukemia & Lymphoma Society by attending an "Light The Night" Event and collecting donations for the cause. To support Hammer Residences, an organiztion which supports disabled adults. .
Employees teamed up to collect needed supplies to ship to the troops. Donates a new minivan to "Little Kids" organization to assist in the transport of children and their families. Adopted “Little Kids”, a non-profit charity organisation that cares for paraplegic children. 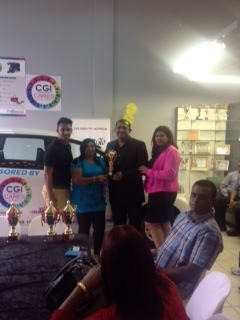 Ruben Moodley nominated as guest of honour as being their main sponsor. has recently adopted the care of 10 disabled babies. We have donated all their food requirements for the next 12 months, this is in addition to the 200 disabled children we sponsor on an annual basis at Little Kids Org. and the local provincial municipality of KZN have embarked on a joint charity program to treat 200 disabled children from Little Kids to a day at U Shaka Marine World. The municipality has donated the entrance fee to the facility and Color Glo has donated +200 Kentucky Streetwize meals for the kids & families to enjoy for lunch. teams up for Red Cross, Lukemia & Lymphoma Society, Zimmer Spine, Little Kids, Give2Troops Inc., Hammer Foundation & South Africa. 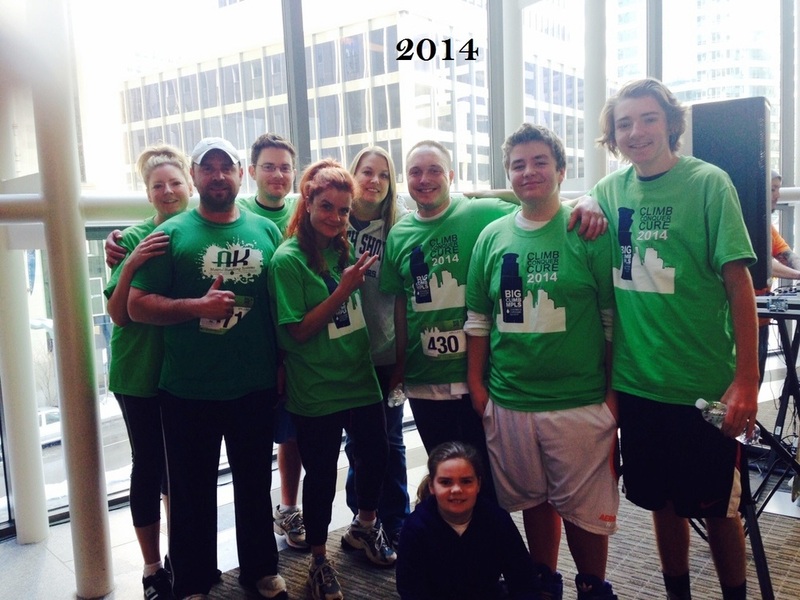 At Color Glo corporate, we've spent countless hours and time contributing to several causes. While we still have many more to support, we're humbled by the gratitude of those whom we've been able to inspire to work harder for the future. 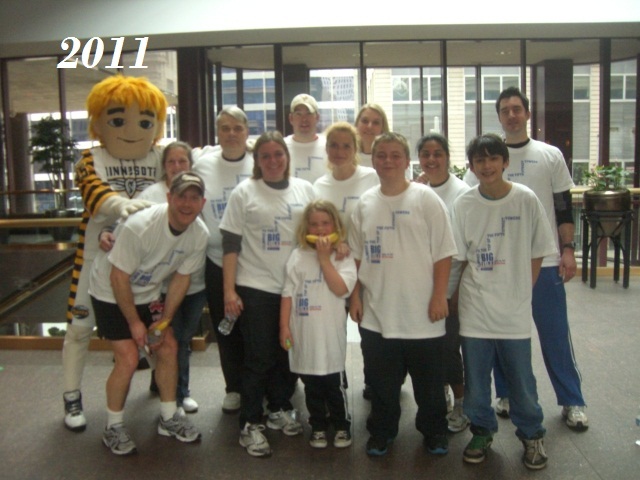 Our corporate office came together, and not only raised money for the Leukemia and Lymphoma Society, but we each climbed 30 flights of stairs in honor of this cause. While the Leukemia and Lymphoma Society works diligently to find a cure, we are proud to assist in any venture, big or small. Two members of our corporate office came together for the Muscular Dystrophy Association and agreed to be a part of the MDA "Lock-up" where each person was asked to raise money in support of MDA. Once the goal was raised, each person was released. It was a unique and fun event that proudly raised funds for individuals and families living with, and affected by Muscular Dystrophy. We encourage you to join us in our efforts to support our community - one person at a time! CARE to get involved? Contact us Today. Thank you for your interest in community involvement with Color Glo International. We'll be right with you!